KidRocket is a good, free software only available for Windows, being part of the category Browsers and has been created by Kidrocket. About the download, KidRocket is a light software that needs less free space than many software in the category Browsers. It's a software very heavily used in countries such as Thailand, Germany, and United States.Since the software was added to our catalog in 2007, it has obtained 11,263 downloads, and last week it achieved 4 downloads.The current version of the software is 1.5 and was updated on 6/20/2012. It's available for users with the operating system Windows 95 and prior versions, and you can download it in English. 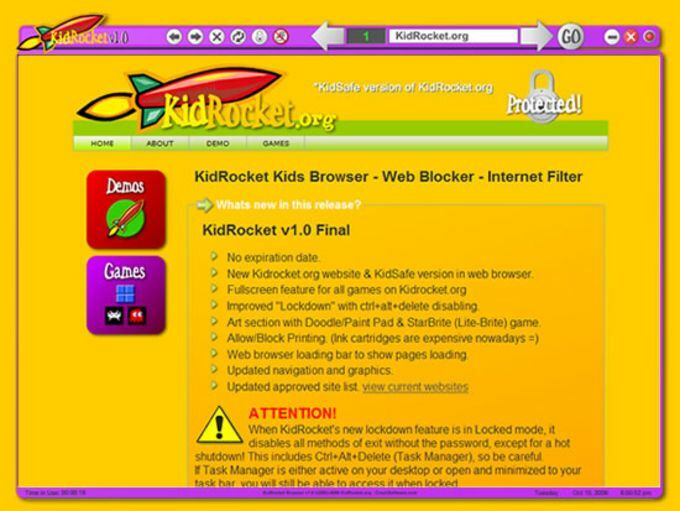 KidRocket is a Flash based web browser especially designed for kids. It works in a very simple way: instead of letting the browser have access to the whole WWW and then try to filter out bad content, KidRocket blocks out the entire Internet and only allows the kids to access certain child related websites. 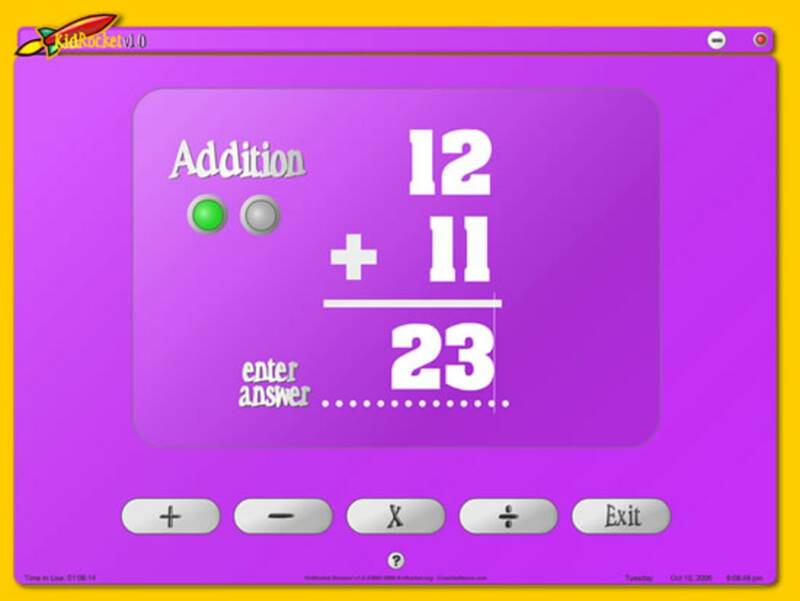 The program works well, it's very easy to use and features a really eye-catching interface. The only downside to KidRocket is the fact that you cannot edit the list of allowed websites. Not appropriate for young children. My son's school uses this browser and we are not happy. He has access to Cartoon Network, he is only 2.5 years old. He does not really understand how to use the computer, but the older kids in his class (around 6 years old) do and they are watching TV shows that a 2.5 year old should not see. We are currently trying to get the school to remove this browser, or if the company that makes the browser can release a safe version that would be fine. Some of the programming is good young children. What do you think about KidRocket? Do you recommend it? Why?